H A P P Y* *H A L L O W E E N!! 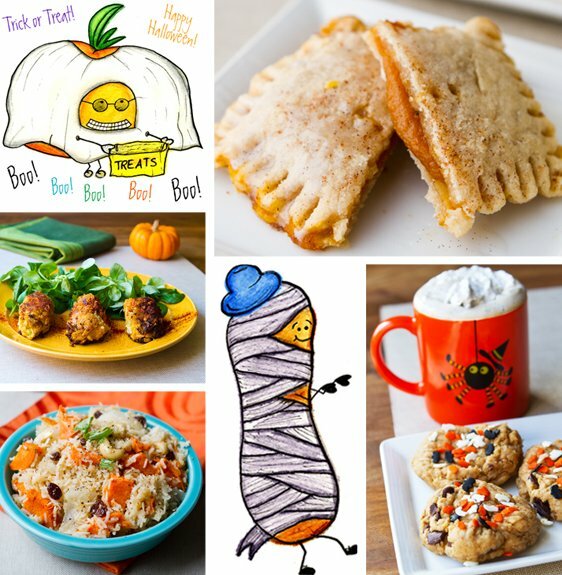 Celebrate the spookiest vegan day of the year with the help of my other site: FindingVegan.com - over 100 vegan recipes sure to inspire you. From savory to sweet. 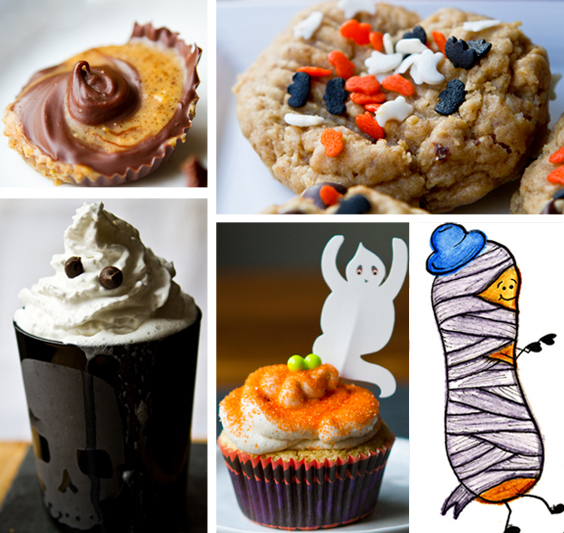 Ghosts to pumpkins - give these ghoulish treats a try (or just have fun browsing the adorable, scary creations!) FindingVegan's #HALLOWEEN tag! * 16 Classic C A N D Y Bars - veganized recipes! * Pumpkin Pie Breakfast "Pop tarts"
* 20 Fun Halloween Lessons! * Halloween History Fun Facts! I didn't think I'd love these cute little pumpkin pie tarts so much - but I did! Easier than you may think too. The pumpkin butter filling is cozy, sweet and pumpkin-wonderful. Take a classic vegan pb choco chip cookie and infuse it with a bit of Halloween cheer and here is what you get! A hint of pumpkin too. This lovely savory sweet rice bowl is filled with yummy stuff: cashews, sweet potato cubes, raisins, maple, spices and two kinds of rice. Add some seared tofu for a complete vegan meal. Sub with butternut squash for a fall-spin! Hmm, what should you make for a fall dessert? Apple Crisp or Pumpkin Pie? Now you don't have to decide with this rustic, cozy dessert filled with complex flavors of fall: spice, tart apples, lemon, sweet pumpkin butter and a rustic, buttery, oaty crumble on top. Yes, here is yet another fritter/croquette recipe. I love this one since it is studded with a few chopped veggies and stringy vegan Daiya cheese. Super cravable! Fry them or bake them. Packed with healthy foods like chickpeas, veggies, pumpkin. * Gluten Facts: Gluten Free Facts! Vegans are very good about paying attention to the special diets of their guests - but do you really know the basics about a gluten free diet? Here are a few facts you may want to learn or read as a nice refresher article. Also, be sure to check out the announcement about this year's Veggie Girl Power Series!! I'm super excited about these ladies. Catch-up on past interviews here: 2009 and 2010 and 2009 quotes.